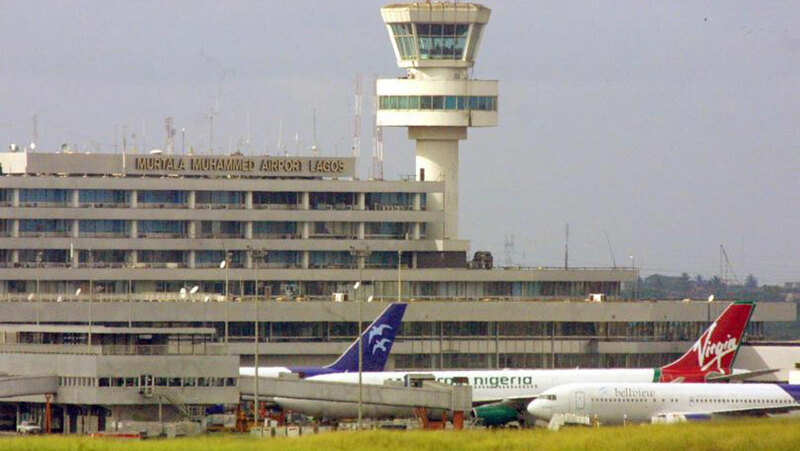 While the Nigerian Civil Aviation Authority (NCAA) estimated the total number of passengers that used the airport as 11.22 million, the National Bureau of Statistics (NBS), courtesy of figures supplied by the Federal Airport Authority of Nigeria (FAAN), put the number at 13.4 million. The difference of about 2.2 million accounts for at least N34.8 billion gap in total ticket sales and N6.7 billion in net earnings from the mandatory five per cent charge on each ticket sold that goes to the five regulatory agencies. Keen observers of the development have alleged “consistent manipulations of traffic figures by NCAA’s consultants” in the last 10 years. The difference in net earnings, an expert argued, is one of the reasons the critical agencies are underfunded, undermining safety of airlines and air travellers. But the apex regulatory body, NCAA, has denied any conflict in traffic figures, loss of earnings and the use of consultants to compute its figures. Part 12 (1) of the Nigerian Civil Aviation Acts (CAA) 2006 assigns the agency the task to collect, on behalf of itself and four other aviation agencies, five per cent charge on all the passenger tickets sold by the airlines, air chartered services charges and cargo freight charges, among others. The money is for boosting the safety of infrastructure, services and human capital development in the aviation sector. By sharing, the Nigerian Airspace Management Agency (NAMA) gets 23 per cent, Accident Investigation Bureau (AIB) gets three per cent, Nigerian College of Aviation Technology (NCAT) is allotted seven per cent and Nigerian Meteorological Agency (NIMET) gets nine per cent. The rest is allocated to NCAA. NCAA’s executive summary of international and domestic flight operations in 2017 shows a total of 11.22 million passengers, indicating 26 per cent drop from 15.23 million passengers recorded in 2016. Of the 11.22 million, 5.53 million were inbound while 5.69 were outbound passengers. And of the outbound, 1.83 million were international while domestic passengers were 3.87 million. Should each international passenger pay an average of N300, 000, it would amount to N549 billion in ticket sales and N27.4 billion as five per cent ticket service charge. Also, should each local passenger pay an average of N20, 000 per ticket, it would amount to N77.4 billion in ticket sales and N3.9 billion five per cent cut. The five per cent ticket charge will therefore be N31.3 billion. The NBS air transportation data for 2017 show a total of 13.4 million passengers, indicating eight per cent drop from 14.6 million recorded in 2016. Of the 13.4 million, 6.69 million were inbound while 6.7 million were outbound passengers. And of the outbound, 2.23 million were international while domestic passengers were 4.46 million. If each international passenger paid an average of N300, 000, it would amount to N669 billion in ticket sales and N33.5 billion as its five per cent. If each local passenger paid an average of N20, 000 per ticket, there would be N89.2 billion in ticket sales and N4.5 billion five per cent cut. The five per cent total would, therefore, be N38 billion. The disparities in NCAA and NBS 2017 figures, therefore, amount to N6. 7 billion, using average prices and without considering first class and business class passengers that paid higher. The Spokesman of the NCAA, Sam Adurogboye, denied disparities in figures. He advised the public and all aviation stakeholders to disregard “the misguided attempt to discredit statistical data emanating from the authority”. He explained that the five per cent charge on tickets was not based on the total sold, but only on flown tickets. This is unlike FAAN that computes its passenger service charge on all categories of passengers flying through the airport. “Furthermore, five per cent TSC applies to all tickets originating from Nigeria with the exclusion of diplomats, tickets sold offshore, infants tickets and staff tickets. These are all classified as non-taxable tickets. Secretary General of the Aviation Safety Round-table Initiative (ASRTI), Group Capt John Ojikutu (rtd), said the disparities in figures were not new. According to him, records from government, private operators and international organisations in 2016 and 2017 showed the earnings on international passengers ticket sales alone to be more than what NCAA recorded for the same years. Ojikutu said the difference in figures, should be probed by the Federal Ministry of Aviation, National Assembly, Economic and Financial Crimes Commission (EFCC) and the Federal Inland Revenue Service. “The consequences of the exploitation of the earnings were probably the sources of the insufficient funds made available to some agencies from the share of the TSC/Cargo Service Charge, and possibly the reason some facilities needed to assist aircraft to land at night and in inclement weather were not calibrated. “The non-calibration of these landing aids that require periodic maintenance was the reason for many flights cancellations in 2016 and 2017 during the inclement harmattan weather when these landing facilities were most needed,” Ojikutu said.